Karisa Harpe is a dually Board Certified Clinical Nurse Specialist as well Nurse Practitioner in the field of Psychiatry working in the Stockbridge office of Georgia Behavioral Health Professionals. Karisa is an empathic listener she provides medication management, supportive and solution focused therapy for her patients and collaborates with her supervising physician to provide the best possible care. Previously, Karisa worked from 2003 until 2016 as a Registered nurse initially and later as a Nurse Practitioner at McIntosh Trails Inpatient Crisis Stabilization Unit Pinewoods where she worked with substance abuse, detox and rehab as well as severe mental health disabilities including schizophrenia. Karisa has also worked in skilled nursing facilities where she worked with elderly patients from 2006 until 2014. Here, she provided medication management to patients who suffered from: depression, dementia, bipolar and schizophrenia just to name a few. In 2003, she received an Associate's Degree in Nursing from Gordon College and State University. Karisa received her Bachelor of Science Degree in Nursing from the University of Phoenix in 2006. 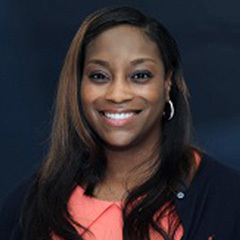 Karisa furthered her education and graduated from Georgia State University in 2009 with a Master of Science Degree in Nursing.